We asked delegates at the IAPB Council of Members 2018 (15-16 September) to pick their favourite photos from this year’s Photo Competition (which is ongoing)—and we have our picks! South Sudan, Rajaf School for the blinds, 2017. A teacher and her pupils as they walk just outside their classrooms during recess. The Rajaf School for blinds is the only operating school in the country for the blind. Photo by Luca Catalona Gonzaga, Italy. 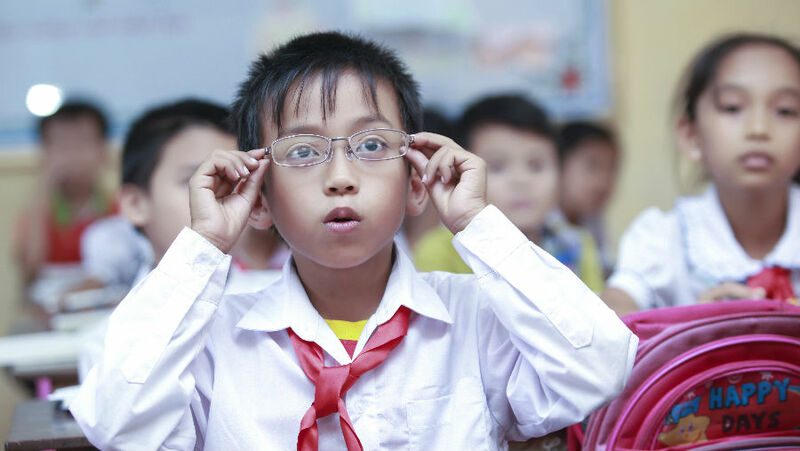 A child surprised to see clearly after wearing new glasses! Photo by Nguyen Thi Quynh Nhu, Viet Nam, Helen Keller International. Congratulations to Luca Catalano Gonzaga and Nguyen Thi Quynh Nhu! The two of them will be sent a certificate shortly. The delegates at the Council in Hyderabad were asked to pick their favourites from a selection of Editor’s Picks chosen by the IAPB team. The editor’s picks were each from the Amateur and Professional Category. Voting was done on the IAPB Events App, while the photo competition and the Editor’s pick selection was showcased on a giant LED screen at the event. 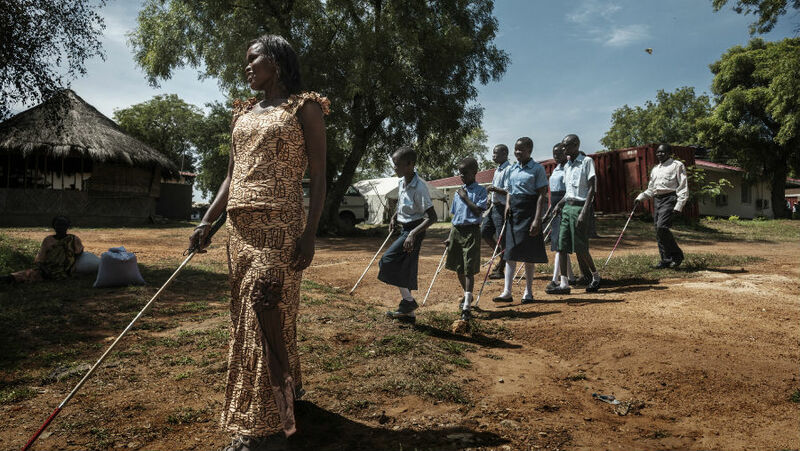 The World Sight Day #EyeCareEverywhere photo competition is still going strong,! We’re loving your submissions so please keep them coming. The competition prizes: USD 1000 for the Pro winner and a DSLR camera for the Amateur winner are still up for grabs. With only 2 weeks to go for the competition, the time to send your submissions is now! Send us your photos with the theme “Eye Care Everywhere” before World Sight Day (11th October 2018). Every week, we will pick “Editor’s picks” and showcase them on IAPB’s social media accounts. Finally, winners will be selected from these Editor’s picks after World Sight Day (the last day of the competition).